JBay – The fourth edition of the popular celebrity crossover sports event – the Oakley X Over powered by Sharp – is heading back to JBay. 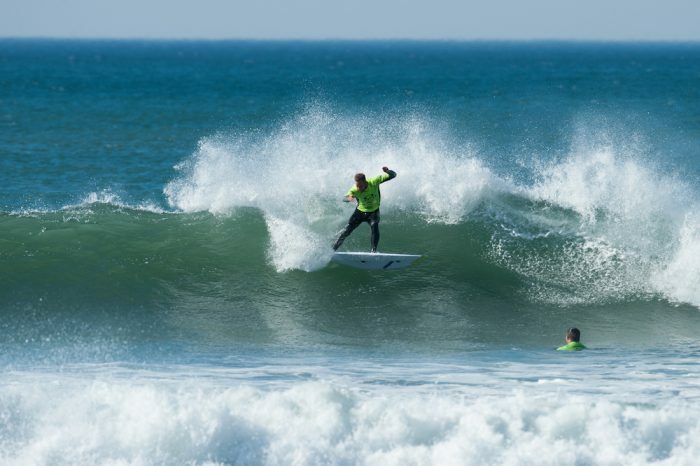 The Oakley X Over is one of the highlights of the JBay Winterfest, and the high-profile sporting celebrities add much excitement to the festival. The Oakley X Over comprises three disciplines, and the athletes are put through their paces in their hunt for the coveted title. The golf tournament takes place at The Links Golf Course in St Francis, the mountain bike race heads off from the Fountains Mall in JBay, and the much-heralded surfing contest venue is the Lower Point in JBay. Dale Steyn, AB De Villiers, Ryan Sandes, Raynard Tissink, Ruan De Smidt, Garreth McLellan, Greg Minnaar, Lance Isaacs, Nick De Wit, Kerim Fitzgerald, Bob Skinstad, Butch James, John Smit, Jean De Villiers, Schalk Burger, Seabelo Senatla, Tonderai Chavhanga, Jordy Smith, Tom Whitaker (Australia) and radio and TV personality Ryan O’Connor. The Oakley X Over powered by Sharp kicks off on Thursday 20 July with the Mountain Bike event. The race starts at 12PM from the Fountains Mall and will consist of 15km route, finishing back at the mall. On Friday 21 July the day’s proceedings starts off with the fiercely-contested surf event at the Lower Point in JBay. The first heat will hit the water at 8am, and this discipline is always one of the highlights of the X Over. With Jordy Smith and Australian wildcard Tom Whitaker firm favourites here, one can’t discount Dale Steyn who has been training in Bali, Bob Skinstad and Greg Minnaar who always push it in this discipline, along with Raynard Tissink who was second in the surf last year and as a result scooped the overall X Over 2016 Champion trophy. The athletes head over to the St Francis Links Golf Course after the surfing event for their nine-hole tournament. Hosted by Jeff Clause, the golf tournament is always a popular leg of the X Over, is well attended by fans and media, and brings the best out of the athletes. The golf also signals the end of the event, and the points can finally be tallied. 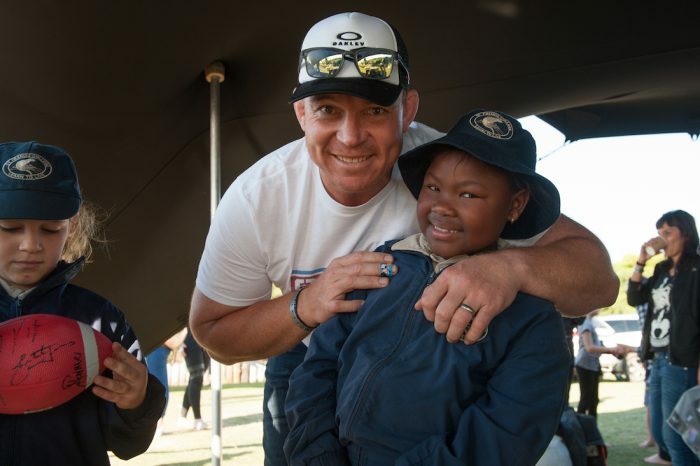 Another highlight of the Oakley X Over powered by Sharp is the attendance of the St Francis College Learners who want nothing else than to meet their heroes. 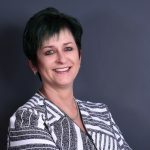 To hang out with the likes of Dale Steyn and AB De Villiers as well as the popular Bob Skinstad, John Smit, Jean de Villiers, Greg Minnaar and Garreth McLellan and all the rest of the celebrities, is like a dream come true for the sports mad youngsters. 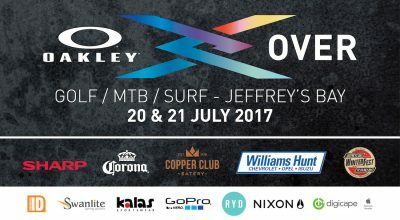 The Oakley X Over powered by Sharp runs on 20 and 21 July, and forms part of the JBay Winterfest.